In less than 3 months it is my little daughters first birthday! Its scary reminiscing about her being this tiny helpless little thing I bought home to only 9 months later having a very active little madam who wants to be everywhere and eat everything. 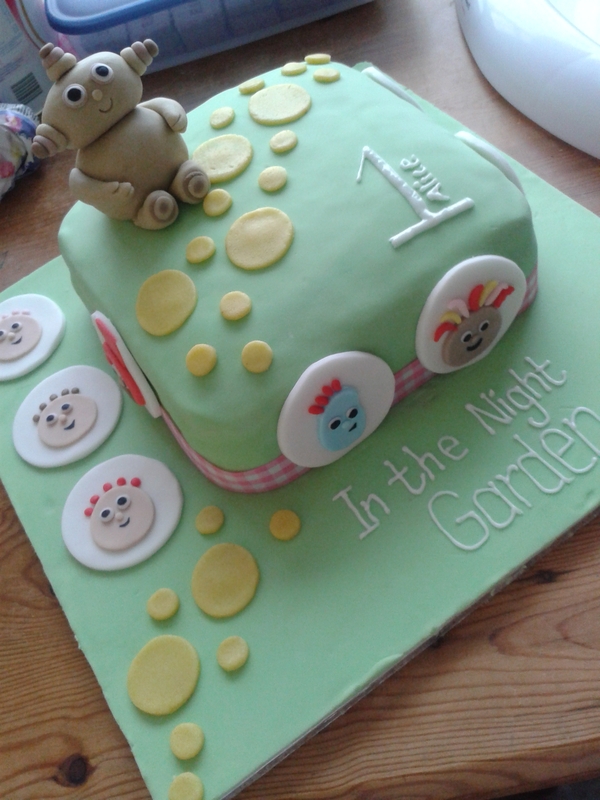 So I decided that I had best start thinking about her first birthday cake and how to decorate it. She doesn’t have any interest in TV at all (just wasted time she could spend exploring I guess), she won’t sit still for any books (see TV issue) so she doesn’t have a favourite character in that way. 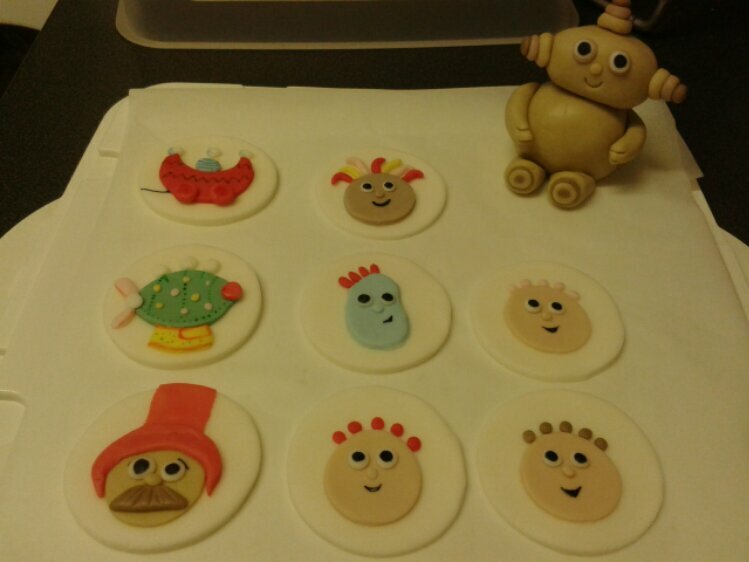 After a little think I’ve decided to make an “In the Night Garden” cake and cupcakes. This is because my brother in law used to work on the programme making it and we have toys, books, DVDs and clothes for her. It also seems to be very popular with other young children. My cake decorating skills are fairly none existent but I saw a way with icing that seemed to make it look easier than normal – flat shapes cut out and layered. 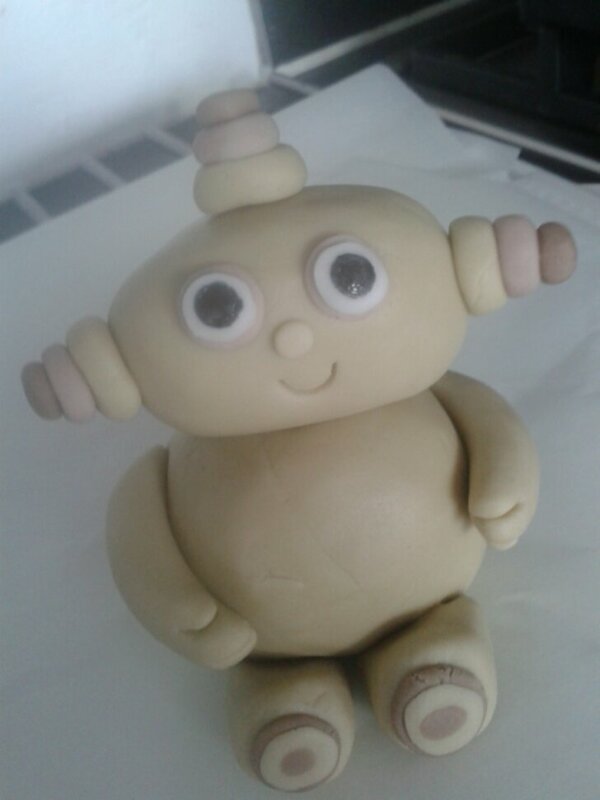 Please let me introduce – Iggle Piggle, Makka Pakka, Upsey Daisy and 3 Tomliboos. No, I haven’t gone mad, that’s their names. Anyone with young children will probably be able to sing the song to. I made the circles of icing as a practice and then because I was quite pleased with myself I made some basic shortbread cookies for them to go on. 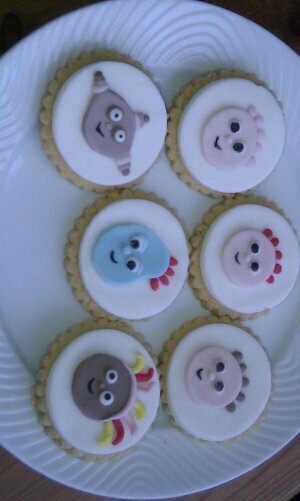 Now all I will have to do is try and make them again, at night, in 3 months time whilst being back at work full time. Hmm.